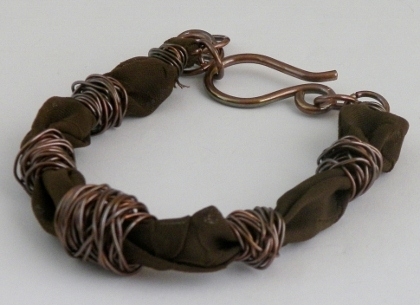 This bracelet is a unique one of a kind made from left over material that I cut off my curtains. 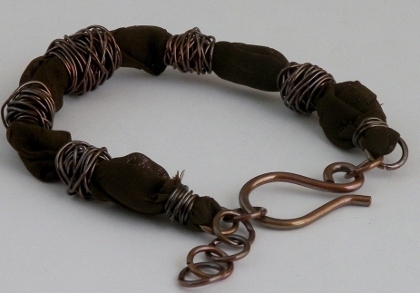 I first cut a strip of material and folded into and sewn it forming a tube shape then I turned it right side out, then I made some messy wrapped copper beads from 20gauge copper wire, and added them to the material and folded the ends over handcut copper jumprings and made a wire wrap to hold together. 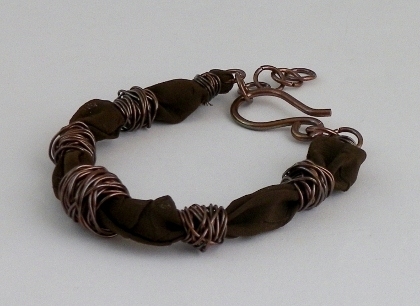 I added a few more handcut jumprings and a 16gauge hand-formed hook clasp. 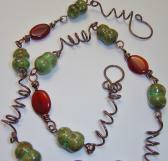 The copper wire, jumprings and hook clasp has all been oxidized and tumbled. 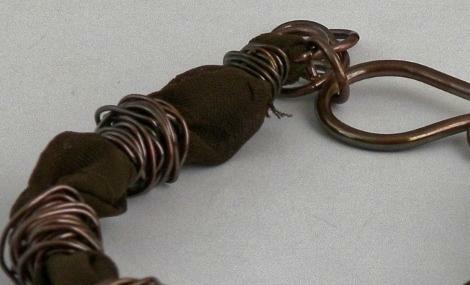 Bracelet measures 8" with 1" extension. 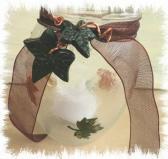 Visit Mixed Kreations for tips and resources.